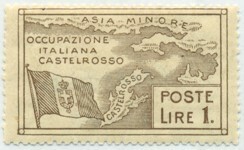 The island of Castelrosso off the coat of Asia Minor was occupied by the French navy in 1915. The Treaty of Sevres awarded the island to Italy and in 1921 it came under the rule of the Governor of the Dodecanese and Castelrosso. The Hungarian port of Fiume (now known as Rijeka in Croatia) was occupied by Allied troops after WWI. 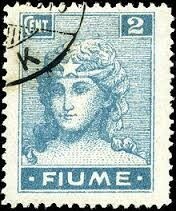 It was finally incorporated into Italy in 1924 although the adjoining port of Susak became part of Yugoslavia.